The Lightworks Building, East 5th Ave, Vancouver, BC – PC Urban Properties Corp. This is a property most developers would avoid. PC Urban re-imagined it by preserving its story to go above and beyond what anyone else thought was possible. Through the 1940’s and 1950’s, 22 East 5th Avenue was home to the Cemco Electric Manufacturing Company, makers of high-tech electrical components used in the Allied war effort in WWII. Since that time, the building housed a variety of industrial and commercial tenants, but slowly decayed, even as the revitalization of the Mount Pleasant neighbourhood evolved all around it. The original structure was built in 1942, designed by H.H. Simmonds, architect of Vancouver’s iconic Vogue and Stanley Theatres. Concrete Art Deco crowns atop the building’s raised columns are echoes of this era of enterprise and style. City Hall, understandably, did not want to lose this piece of Vancouver heritage. Yet the site itself was burdened with the chemical remnants of decades of electronics manufacturing, which would be costly to remediate. The PC Urban team was immediately attracted to the history and potential of the site. They envisioned a multi-purpose business hub that would attract visionary entrepreneurs and build on the City’s vision for Mount Pleasant. Remediating the site, however, would take more resources than a normal development could provide. 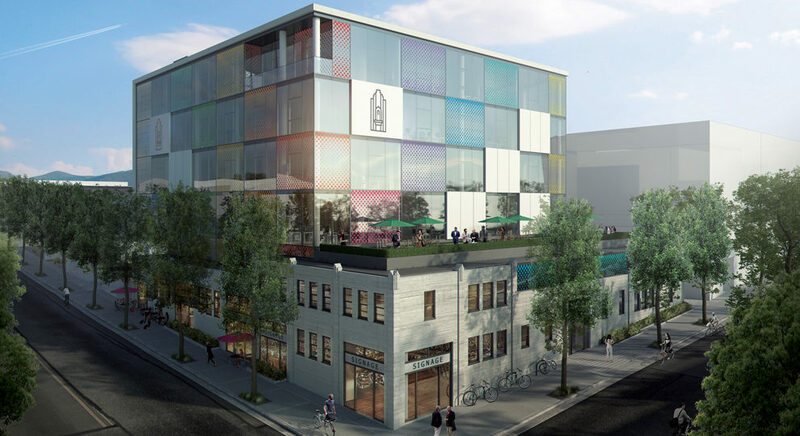 PC Urban re-imagined the whole project, proposing a larger, modern commercial building, integrated with a restored historic façade that would connect the past and the future of Mount Pleasant in a relevant and meaningful way. 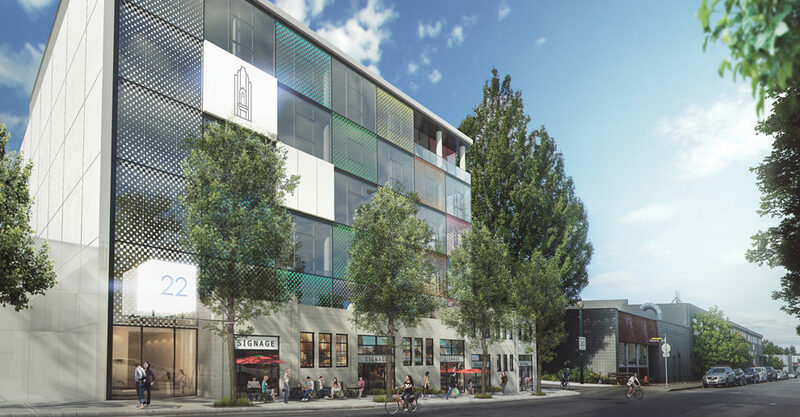 The Lightworks Building was conceived from the ground up to pay homage to the site’s electrical factory roots and importance to Vancouver’s history, while inspiring a new generation of entrepreneurial energy. Open floor plans, city and mountain views and unique rooftop deck spaces are attracting prime tenants to this iconic Vancouver community. The building’s Art Deco heritage is preserved not only in the poured-in-place concrete frontage that wraps around the entire front corner of the site, but in the very identity and future of The Lightworks Building itself.